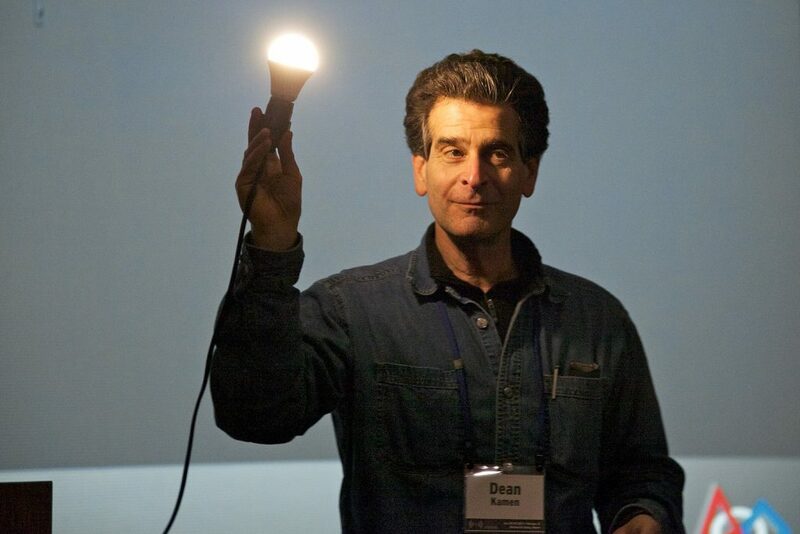 Yesterday, inventor, entrepreneur and founder of DEKA Research and Development Corporation Dean Kamen gave a talk on developing inventions and the potential of future engineers as a part of the School of Engineering Dean’s Lecture series. Kamen is known for pioneering inventions such as the wearable insulin pump, the peritoneal dialysis pump and the Segway, according to Dean of the School of Engineering Jianmin Qu. Kamen is also the founder of FIRST (For Inspiration and Recognition of Science and Technology), an organization dedicated to inspiring young people to pursue careers in science and engineering, and was awarded the National Medal of Technology in 2000 by President Bill Clinton, Qu said in his opening remarks. Kamen began his lecture by speaking about how many different kinds of engineers and fields of expertise are necessary to create technological change. He emphasized the importance of collaboration in turning ideas into practical products for public use. The first part of the talk consisted of Kamen recounting the stories behind his various successful inventions, particularly in the medical sector. He began by speaking about his invention of a simply designed, wearable insulin pump that was inspired by a conversation with his brother, a physician, about the need to deliver critical drugs in an efficient, precise manner. Kamen built the initial prototype in his parent’s basement which was then successfully tested. Demand for the product grew, prompting Kamen to start his own company manufacturing insulin pumps. However, Kamen soon sold his company and moved on to other projects, saying that he did not want to remain in one field making small, incremental changes. “If you stay in your lane in the world of engineering, you can count on the fact that every year you’ll make your product two percent better or three percent cheaper … and there’s nothing wrong with that … but I wanted to do transformational stuff,” he said. He then spoke about his creation of a peritoneal dialysis machine and his contributions to improve the original Palmaz-Schatz coronary stent, explaining that he wanted to find a way to use elegant and simple designs to make people’s lives easier. “The instruction manual [of the dialysis system] has to be as complicated as the instruction manual that comes with your sneakers,” Kamen said. He also talked about his other inventions that contributed to human health and mobility, such as a water purification system and prosthetic arms capable of fine motor control. He also spoke about his collaboration with the U.S. government to found the Advanced Regenerative Manufacturing Institute (ARMI). He emphasized the importance of work at the intersection of medicine and technology. Kamen also encouraged Tufts students to actively take part in the quest to reach these goals and work for his companies via internships or jobs, handing out DEKA business cards at the end of his lecture to students that came up to talk to him. Kamen closed his speech by speaking about FIRST, an organization that has spread globally and garnered the support of many U.S. Presidents, such as former Presidents George W. Bush and Barack Obama as well as foreign presidents such as former President and former Prime Minister of Israel Shimon Peres. “FIRST is not about robots. It’s about self-respect, it’s about cooperation, it’s about giving kids the tools to understand nature,” Kamen explained. When asked about advice he would give to college students and future engineers, Kamen focused on encouraging students to make good use of their advanced education for fixing the world’s major issues.